The Made Up Maiden: EXCLUSIVE PREVIEW: Lust Have It Fashion & Beauty (FaB) Launch Box! EXCLUSIVE PREVIEW: Lust Have It Fashion & Beauty (FaB) Launch Box! I have a special preview post for you today, and that's the very first ever Lust Have It FaB (Fashion and Beauty) box! Mine is currently winging its way to me (so I can't comment on quality, etc, I'll give you a full review when it arrives), but I was fortunate enough to receive a few photos of the box, so I can break the silence and show you what's in the box if you still wish to subscribe (but hurry, as there aren't many left)! 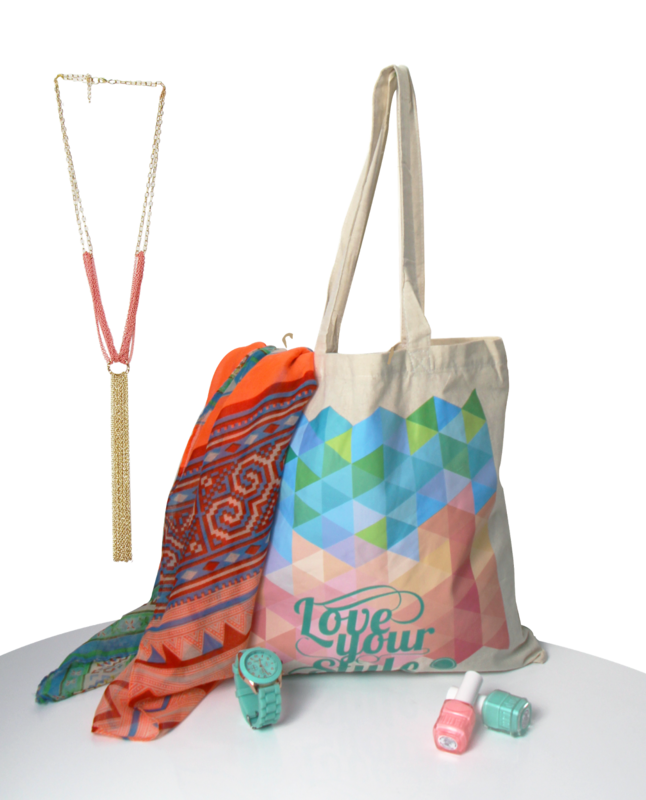 The items are Aztec themed, which is a very popular trend currently! The shades are also perfect for spring! All packaged in a pretty, limited edition LHI tote bag! What do you think, lovelies, are you keen to sign up? This box retails for $35 and you can sign up here. Remember, there aren't many left, so if you're keen, run, don't walk! Oooo loved seeing this sneak peak! The colours included look amazing. Will give Her Fashion Box a bit of a run for their money maybe :P interested to see your full review when it arrives! This looks like a great box! 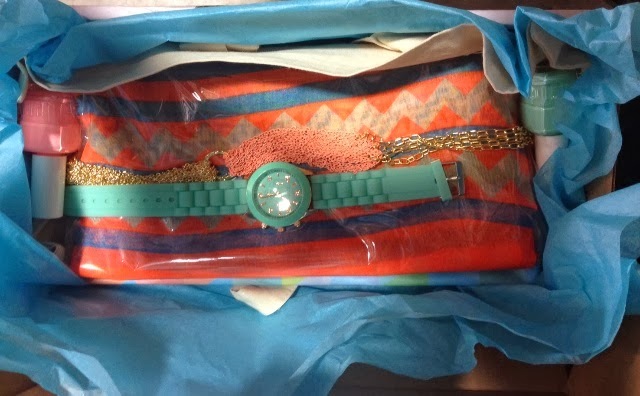 I really like the look of the Tassel necklace nd the nice pastel nail polishes and watch! I can't wait to see the full post! I'm already so intrigued from this one photo! Looks like a fun one, perfect for Spring/Summer '13. The mint watch looks really tempting. I have mixed feelings about this one - I can't wait to get my box and go through it thoroughly! Haha I'm the opposite! Last year was my crazy coral phase. September 2013 Violet Box Review! Fashion Addict Review and Haul!